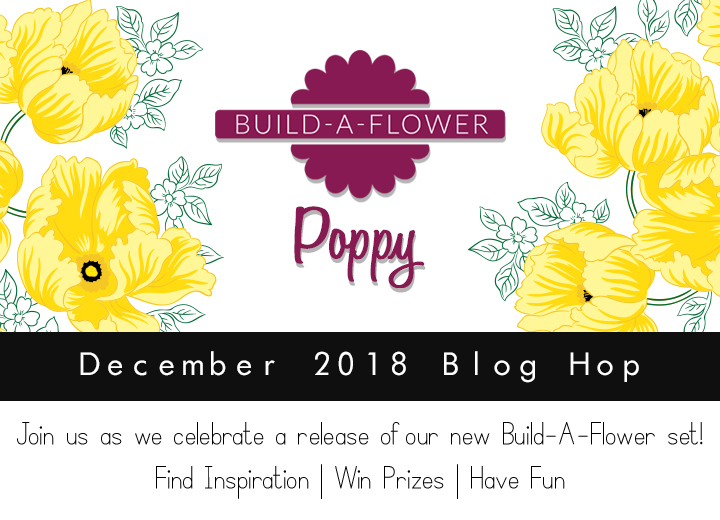 Build-A-Flower: Poppy Release Blog Hop + Giveaway! Hello everyone and welcome to our special Build-A-Flower Release Blog Hop! This month, we are introducing the gorgeous Build-A-Flower: Poppy! It is such a delight to bring you a special release of a new Build-A-Flower Set every month so make sure to look out for these beauties for they are a definite must-have! The Poppy is one of the most widely used symbolic flowers around the world. Its meaning and significance varies widely and includes restful sleep, remembering the fallen, consolation for loss, extravagance, and luxury, beauty and success, among other meanings. Whatever it may signify, it is no doubt a very attractive showy flower, and their large size and intense colors give a cheerful welcome to summer. In this set, we have included two beautiful poppy flowers with large flowing petals. Each flower has three layers for its petals, an outline, a solid, and a detailed coloring layer. The set also includes a stem with leaves, some smaller outline floral images, and three sentiments. With the elements included, you may create various poppy arrangements, and we have included some examples in the tri-fold packaging of this set. 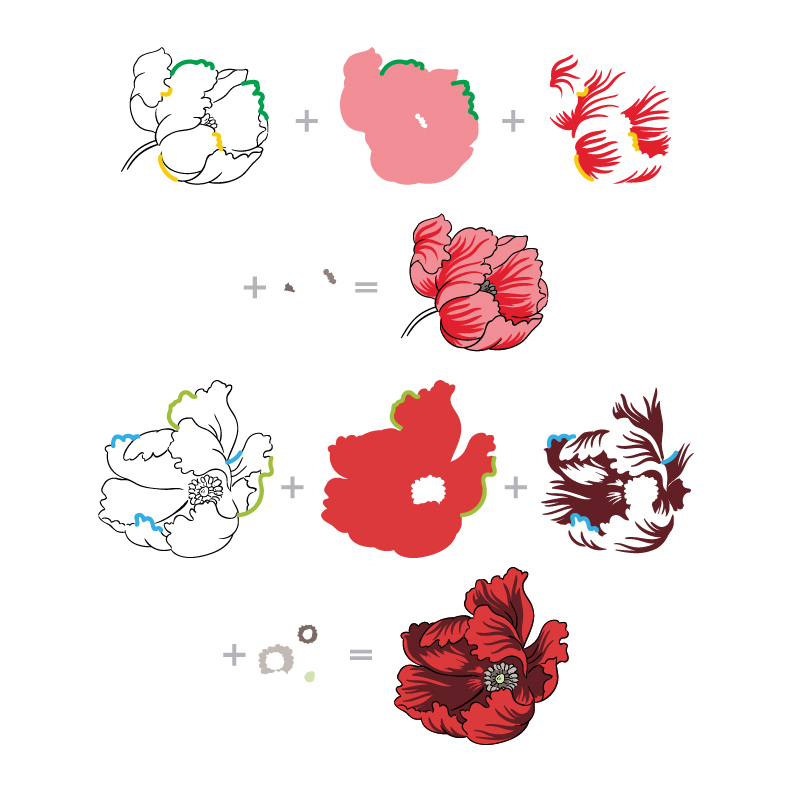 We also have a very special Build-A-Flower: Poppy and Ink Bundle to make it easier for you to start creating beautiful projects. Get the bundle and save 5%! Want to take a closer look at this beauty? Watch the product intro video below or watch it in HD on YouTube. To celebrate this special release, we are giving away a $30 gift certificate to SIX lucky winners! Please leave a comment here on the Altenew Card Blog for a chance to win. Six winners will be announced on Friday, December 9th. We are celebrating this release with a fun blog hop! Some of our talented design team members and special guest designers have created stunning projects to spark your creativity using the new Build-A-Flower: Poppy. We hope you love what they have come up with! Your next stop is the incredibly talented Enza Gudor! There’s more – some of our blog hop participants are also giving away a $20 gift certificate to our store! Make sure you check out their blogs for more inspiration and chances of winning! Oooo— eye poppin’ poppies!! I love that these are partially open and have terrific shading!!! I love the poppies. Very inspiring!! Poppies are a favourite of mine and a perfect addition to the Build-a-flower collection. The layered images in the stamp set are gorgeous! The detail in your stamps are amazing and who doesn’t love poppies, they make you smile! Another gorgeous build a flower release. Simply stunning! The build a flower stamp sets are all so pretty! I love the poppy because of it’s beautiful, flowy petals! Looking forward to seeing all the creativeness! Love the poppies! Very beautiful! Beautiful poppies! Love this set!! I just love the new flower Poppy. I think this one is going to be my all time favorite. Love these build-a-flower sets! This poppy is especially beautiful. Beautiful stamp set! Thanks for the inspiration. Great addition to the line! I love poppies! Wow…love these sets…perfect for any type of greeting card!! These are beautiful! They are such intricate floral elements that are a great size. I love all of the details and the fun sentiments. I sure would love to owe this set, can’t wait to create with this lovely poppy set. Beautiful new BAF set! Poppies are a favorite! So many beautiful samples! Fun new build-a-flower! Love all the projects! Beautiful poppies! I love the variations. LOVE these layered flowers, LOVE the sentiments too! Just so pretty! Beautiful cards!!! Wow! I love poppies and this is just gorgeous! I can’t wait to see what all the designers have done with it. Beautiful Cards, that Poppie Stamp Set just might become my favorite! Anxious to see what the all the others have done with this set. Another lovely layering set with an iconic flower. Great inspiration from the designers. Wow, these poppies look so realistic!